Property expert Dato Sri Gavin Tee predicts that megaprojects will thrive again following an adjustment period where the old inefficiencies are gotten rid of. 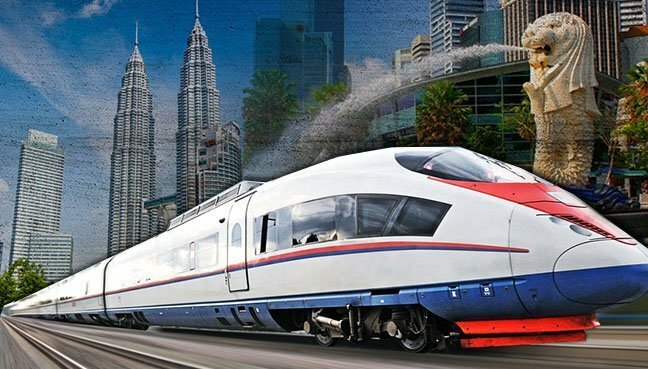 Following the cancellation of the KL- Singapore High Speed Rail (HSR) and the announcement to review some megaprojects contracted with Chinese entities, there is a general misperception that the new Mahathir administration is anti-China. “But nothing is further from the truth,” stresses property expert Dato Sri Gavin Tee. “In fact, I believe Malaysia is the best ASEAN friend to China. There is no doubt Malaysia still supports the Belt and Road Initiative (BRI)." “I believe what the new government wants to do is to restructure the lopsided contracts as well as other unfavourable practices from the former government,” he told a press conference held at the 2018 Swhengtee Property Expo recently. “It just so happened that during the last few years when there weren’t much construction activity going on in Europe and Japan, the opposite was happening in China and countries along the BRI route. A lot of infrastructure projects were going on around the same time including in Malaysia. So, it looks as though throughout the history of Malaysia, this period is one that saw the most megaproject investments especially from China. But in fact, this is just part of the whole BRI story which covers almost half the globe." “From this point of view, our country is definitely not targeting China. It just so happened that most of the projects, undertaken under the auspices of BRI, had Chinese partners or are funded by Chinese entities." “The big picture is that what Malaysia wants is long-term projects that benefit the people. In this regard, we are foreseeing a better and more sincere government with a more transparent policy and better economic management of the country. As a result, the Chinese in fact should get to enjoy a safer Malaysia with more secure returns on their investments,” explains Tee, who is also the founding president of Swhengtee International Group. Similarly, there is a misconception that the new administration wants to scrap all the megaprojects contracted during the former administration, in particular the HSR and the MRT3 projects. “What I believe is that these are all part of the adjustment period when the key aim of the new government is to reduce cost, inefficiencies and wastage. Only after these are achieved, can they start to actively stimulate the economy based on principles of transparency, fairness and benefit to all. It is of course not easy and will take some time as the old structure has been entrenched for decades and that is why our government is working so hard and at a frenetic pace to change. “It also stands to reason that if the old contracts start out on the wrong footing, there will be problems encountered along the way, hence it makes sense to review them. It doesn’t mean these contracts will be cancelled; instead, they could be modified by amending the terms, engaging new teams, or even looking for new funding. “To me, the HSR is not just about a high speed rail network from Singapore to Malaysia. It is part of the BRI and is envisaged to run from Singapore to Bangkok via Kuala Lumpur and Penang, and then all the way to Kunming via Laos, and then connect via the extensive high speed rail network in China all the way to Europe,” Tee continues. “The timing to build the HSR, although it will take up to 10 years to complete, is about right now and in fact many people think it is too late. Why? Because China is already filled with an extensive network of high speed rail with almost 100% of major cities to be connected by HSR by year 2020. The HSR network has reaped much economic benefits in the form of its multiplier effects." Tee adds: “On a similar note, I feel that the decision to scrap MRT3 should be reviewed because being the circle line, it is essential to connect MRT1 and MRT2 to make the entire MRT line seamless. Without it, the MRT1 and MRT2 will be less efficient and less profitable due to fewer passengers as a result of its lack of seamless connectivity. Again, the timing to build it is right and I believe the government will revive the MRT3 in the near future particularly with a view to reducing its cost. And I believe the new government is more efficient, thus the costing will also be more ‘efficient’. 4. East of Johor linking with Singapore and Bintan island of Indonesia (triangular tourism hotspot). The first two islands cater to those from Asia or the rest of the world while the latter two destinations cater for ASEAN mainland (North) and Islands (South) and are mainly for tourism purpose but its implementation can bring Malaysia up to the world stage while not adversely impacting the lives of the locals. The zones will also not involve giving out any parcels of land to foreigners thus protecting Malaysia’s sovereignty. Tee advises that it is still a good time to get into the property market during this adjustment period. "We expect good news from the new government where property is concerned but we need to study carefully the opportunities thrown up. The government may adjust property-related taxes, loosen up financing for properties and a slew of other changes with a view to long-term stability. This is the time to jump in or it will be too late." Interested in joining Dato Sri's Forecast Talk in 2019? We now offer HUGE DISCOUNT to a limited amount of people! Come and be one of them! Click here for English Swhengtee 12th Annual Forecast Talk + Course. Click here for Chinese Swhengtee 12th Annual Forecast Talk + Course.